Hundreds of things can go wrong in the plumbing system due to its vastness. You also have to consider that different plumbing systems come with elements that don’t mix with each other. 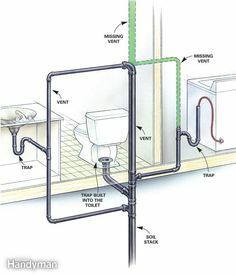 Now, many people tend to learn a bit about plumbing and fix small issues without calling for help. This is a smart thing as any intervention by a company will cost you money, no matter the extent of the work. But not every issue can be dealt with swiftly and efficiently. Some of those are better left to professionals. In this post, we will talk about some plumbing issues and how we deal with them. This isn’t a guide to teach you how to fix them as we won’t share a lot of detailed info about the same. If you want to learn how to fix problems you find in this post, then do some additional research. This is one of the major problems that can cause a lot of damage. On the other hand, it isn’t too hard to fix it. With a bit of knowledge you can do it without any help from us or any other plumbing company. Several different things cause this issue. It can either be the result of bad plumbing, the age of plumbing elements, poor maintenance or high pressure (too high for pipes). There could also be a combination of these that can cause it as well. The point is that pipes will break if you don’t maintain them on a regular basis. The repair process starts with shutting off the water and emptying the boiler. 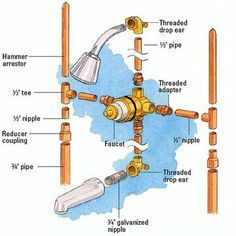 Pipes must be drained as well as that will allow the plumber to work on everything. If the cause of the leak is the age, then the whole boiler and accompanying pipes have to be replaced. Many high-quality heaters and pipes last between ten and fourteen years, so it’s smart to replace it before the leak happens. If you bought low-quality boiler (or pipes), then their longevity is around half of the high-quality products. We tend to replace pipes that broke instead of patching them up. This is a bit more expensive option, but it is a long-term solution. Patching up pipes and boilers isn’t a long-term solution, and it will break again in a matter of months. If the leak is located between the tube and the furnace, then some insulation can help. The final step is the test. We tend to let water and gas to run through the system and check whether the repair worked. If it did then the only thing left is to clean the area. You can patch up a leaking boiler or anything else, but that is a short-term fix. You should do this only to prevent any damage until a professional arrives. You should call us (or another plumbing company if you don’t live in an area we cover) as soon as possible to prevent any future breakdowns.